Note: Pivotal recommends that you also install a NAT VM for outbound requests and a Jumpbox to access the BOSH Director, though these access points are optional depending on your network configuration. 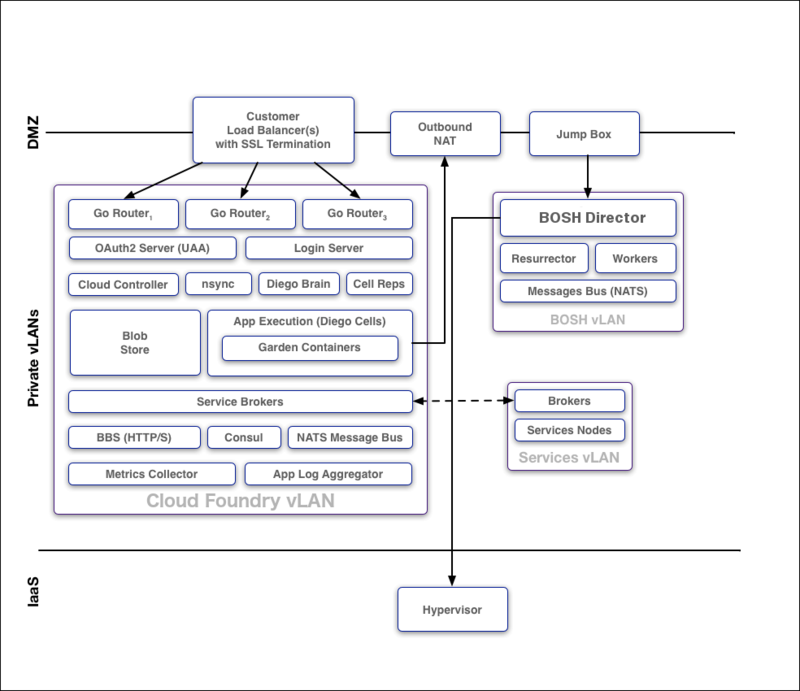 Note: Pivotal recommends that you deploy the BOSH Director on a subnet that is not publicly accessible, and access the BOSH Director from a Jumpbox on the subnet or through VPN. 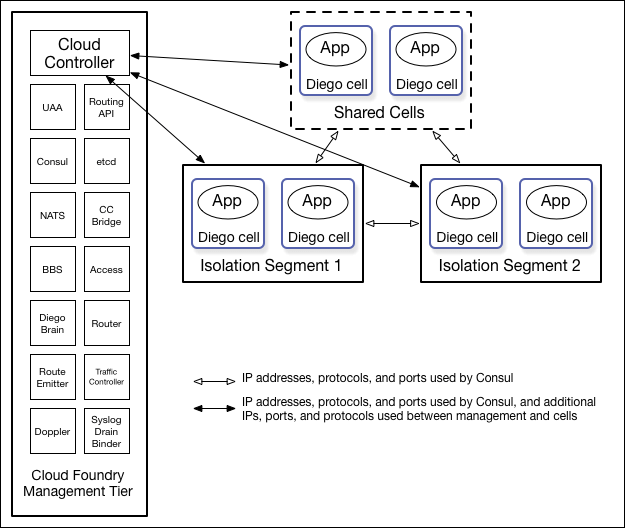 See the Installing PCF Isolation Segment and Managing Isolation Segments topics for more information about how to create and manage isolation segments in a PCF deployment. For more information, see Getting Started with the Apps Manager and Managing User Accounts and Permissions Using the Apps Manager. Use the IPsec add-on to encrypt IP data traffic within your deployment.